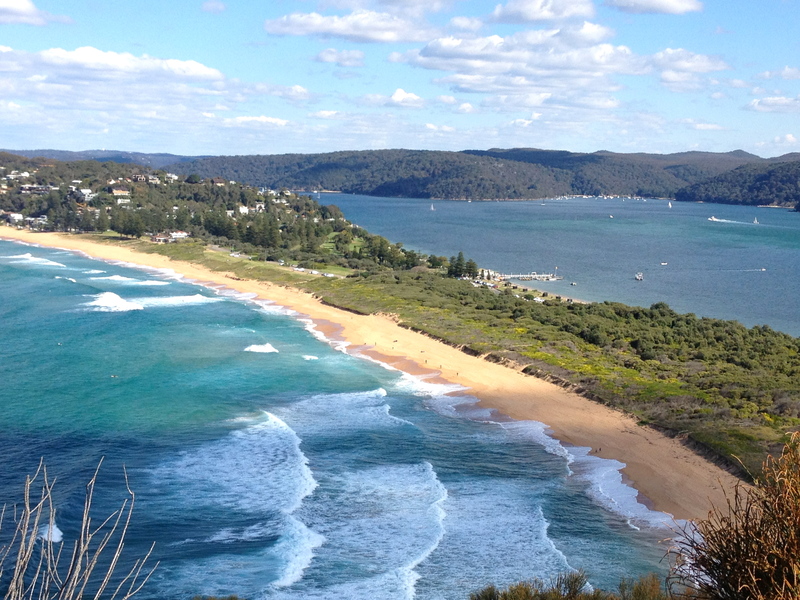 It wouldn’t be right to be anywhere near the Northern Beaches and not make a trip to Palm Beach. Just imagine getting there and taking in the long, wide stretch of beach on the sea front. Walking along the orange sand and filling your lungs with fresh sea air. Putting those lungs to good use and hiking up the little cobbled path to Barrenjoey lighthouse. Taking in the spectacular views from the headland, and feeling pretty damn good with yourself for doing it. Ok, I’ll admit its not far, but it won’t stop you from feeling good. Its always good to get your heart pumping! Now imagine all of that and after making your way back down towards the harbour, you see a little boathouse on the water with a red and white awning and buckets of flowers outside. You’ve just come across the Boathouse cafe and flower shop. Now you can really feel good… with a single origin roasters coffee and some home-made lunch by the sea. Delish. Its also one of those places thats just nice to look at. The one you’d be forgiven for taking photos of and pretending, to your friends back home, that its your little weekend beach pad. Or maybe not if you’re reading this and you’re the owner. But its everything I love about a space that just makes you want to be there. Huge vases of flowers, cake stands of treats, big stripy cushions to relax against (you can never have too many cushions), white washed tables, lots of natural light and a distinct calmness of being by the sea. It even has its own jetty for those who like to travel by seaplane. But don’t worry if you don’t quite make the seaplane, its pretty much the same view you’ll get on your trip to the lighthouse*. ← Would you like Jam with that? Looks gorgeous – must visit someday soon! Agree Vince! It’s a true gem that feels miles away from everything, and so well looked after.